The Chancellor will offer brief remarks. The core of the meeting will be a Q&A format. An additional Town Hall for faculty and staff is scheduled for the spring semester, on Friday, Feb. 1, at 3 p.m. If you have a question for the Q&A portion of November’s Town Hall, please submit it here. You can also ask your questions at the meeting. It’ll be a festive spirit march from campus to Coliseum. All to celebrate Spartan pride and get ready for the season tip-off of Spartan Men’s Basketball. The men’s basketball home opener will be Friday, November 16. Tip-off is at 7 p.m. The route will be Walker, then left on Chapman all the way to the Coliseum. The streets will have “rolling closures,” meaning police will stop traffic one block at a time, says Dr. Kim Sousa-Peoples, Senior Director, First Year Student Engagement & Experience. All students, alumni, faculty, staff and community members are invited to join in. The first 100 faculty and staff to arrive for the event will receive a ticket to join the student tailgate at the Coliseum. Students who participate will receive a free T-shirt and free food. There will be a shuttle available for anyone with mobility issues who wishes to participate. Faculty and staff can get $5 tickets for the game – details will be announced. Discount season tickets for faculty/staff are available for only $109. Reserve your seats as the Spartans look to build upon last year’s SoCon regular season and tournament titles and NCAA Tournament appearance. Season tickets include complimentary parking passes, buddy passes to bring friends to a game, an exclusive invitation to an open practice with the team, the opportunity to experience a women’s basketball game in Fleming Gym and more. Contact the UNCG ticket office at 336-334-3250 for more information. See the Storm the Streets website. Photo by Martin W. Kane. Edmunds will serve as a Research Affiliate for the UNC System, assisting other UNC schools in developing proposals that improve postsecondary student success and that utilize a strong evaluation design. 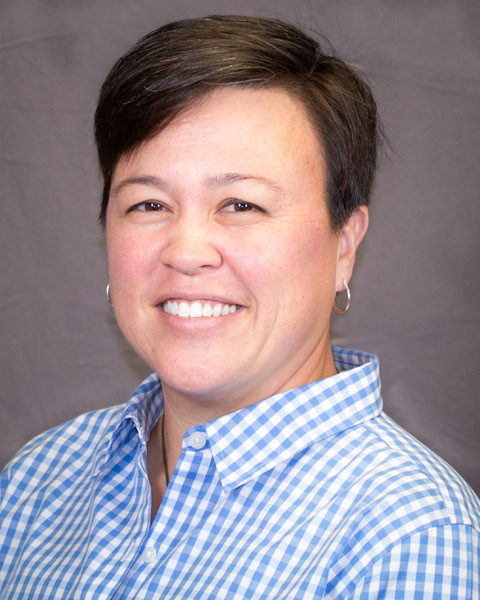 The evaluation team, led by external program evaluator Assistant Professor Ayesha Boyce and associates from the School of Education at UNC Greensboro, will work closely with nanoMFG Node leadership to integrate formative and summative evaluation into the general operation of the program. The evaluation will use a value-engaged, educative approach (VEE). The VEE approach, developed with NSF-EHR support, defines high-quality STEM educational programming as that which effectively incorporates cutting edge scientific content, strong instructional pedagogy and sensitivity to diversity and equity issues. A key role of the evaluator is to work closely with program implementers to promote understanding of program theory, implementation and impact. “Mother-Load,” by Timothy Horn – a life-size Cinderella carriage covered in crystalized sugar. It’s a piece that reflects on the precariousness of unexpected fortune, the search for love and acceptance and the real-life story of Alma Spreckels, who married into a sugar fortune. “Mirror, Mirror,” a 1987 print by upcoming University Concert and Lecture Series speaker Carrie Mae Weems, explores beauty, racial bias and privilege through a Snow White scenario. Xaviera Simmons’ “If We Believe in Theory” series displays Little Red Riding Hood terrain, with several children donning the cape and pointing to where the wolf is. Other works explore tragedy, youth, sexual politics, passage of time, hunger and transformation through those tales as well as others, such as Hansel and Gretel, Fitcher’s Bird and All Fur. The mix of the familiar and the unfamiliar that engages art-viewers makes the exhibition perfect for coursework in many diverse subjects. The Weatherspoon’s Associate Curator of Education Terri Dowell-Dennis, to date, has coordinated “Dread and Delight” tours for more than 870 UNCG students, and she notes that the exhibition has been a part of course curriculum in education, psychology, art education, kinesiology, Spanish, German and theatre, in addition to English and art history. Associate Professor of Art History Heather Holian teaches The Art of Disney and Pixar every year, but this semester “Dread and Delight” has brought a unique angle to the course. For a final project, Holian’s students will imagine, map and write wall text for an exhibition that uses core works from “Dread and Delight” as well as several Walt Disney Studio pieces. The project will allow students to design an installation that brings attention to a particular issue or theme present in both “Dread and Delight” and Disney works. The students will also write responses to “Dread and Delight” pieces that have a Disney corollary, such as Cinderella, Snow White and Rapunzel. Holian has encouraged students to read original Grimms’ fairy tales and to study how they’ve been rewritten and interpreted. “They’re all familiar with these fairy tales through the Disney versions, and that’s the entrance here. ‘Dread and Delight’ offers tremendous range in the fairy tale genre,” said Holian. Lecturer in English Julia Ridley Smith has focused the work of her English 210 course on fairy tales, with a tour of the exhibition as an important element. While Smith says many students came into the class with Disney-inspired ideas of what fairy tales are and mean, they are ready to make the connections she encourages them to make, relating recognizable motifs to unfamiliar re-tellings. Stamey says that surprise is a common reaction among visitors to the show. Accompanying “Dread and Delight” is a book that includes all seven featured fairy tales, the history of fairy tales in contemporary visual arts, an exposition of the exhibition’s featured works and an original fairy tale,“The White Cat’s Divorce,” by recent MacArthur “genius” grant winner Kelly Link ’95 MFA. Fairy Tale Read-A-Thon Nov. 2, noon to 4:30 p.m.
Evening Tour Nov. 15, 6 p.m.
Glass Slippers on the Runway – Curator Talk: Colleen Hill Nov. 15, 7 p.m.
For more information, please visit the Weatherspoon Art Museum website. The African American and African Diaspora Studies Program (AADS) at UNC Greensboro invites abstracts and panel proposals to be submitted for its 2019 Conference on African American & African Diasporic Cultures & Experience (CACE), to be held Feb. 26-27. The theme for this year’s conference is “Afrofuturism: Resiliency and Creativity.” Afrofuturism continues the renewed conversation on Black empowerment by exploring political activism, social justice, technological advances, artistic and literary expressions in Black communities. This conference theme will focus on challenging limited depictions and perspectives of Black people while imagining and co-creating paths to a resilient, creative and limitless future. Paper abstracts, panel proposals, and poster presentations that respond to the conference theme are welcome. Collaborative presentations between students and faculty/mentors and individual abstracts are encouraged. Presentations from faculty and friends of the community are welcome. Those interested should send a 150-word abstract and a 50-word bio, including name, presentation title, type of presentation (e.g. paper, poster, spoken word), major/discipline, and university/organization affiliation to https://goo.gl/K8DxCU. The deadline to submit an abstract and bio is Dec. 7, 2018. UNCG honorary degree nominations are due on Wed., Nov. 7th. If you want new things to happen, you have to create new possibilities. That was one of the key messages of political pioneer and developmental psychologist Lenora Fulani. Fulani spoke Wednesday in the EUC Auditorium, in a talk sponsored by the Lloyd International Honors College. “Growing up Poor and Black in America: The Impact of the 60s from the Vantage Point of an Intellectual and Community Organizer” was the title of her talk. Afterward, she and Dr. Omar Ali, dean of the honors college, shared a conversation onstage with Ali asking questions. A Q&A with the audience followed. Six UNCG students welcomed the audience and introduced Ali. Ali explained the impact Fulani has had on his life. He became acquainted with her on a research trip to New York City when he was an undergraduate at the University of Michigan. She was running for governor of New York and he saw her speak at a rally. She was working to empower ordinary people through the electoral arena. “Lenora Fulani became my mentor,” explained. In 1988, Fulani became the first woman and the first African American to be a presidential candidate in all fifty states. Ali showed an interview of her on the McNeil/Lehrer Newshour from that year. She was an Independent and told McNeil about her political position and why American of varying constituencies should vote for her. What shone through was her passion for all people, particularly those in poor neighborhoods and those whose political voices were not being heard. “I have a lot of faith in ordinary people,” she said. The blasting is over. Ten thousand cubic yards of bedrock have been removed. Soil has been sifted. UNCG’s new Nursing & Instructional Building is on its way. Monday, construction crews began pouring “mud mats” of lean concrete to create a base to form and pour footings for the 180,000-square-foot facility, which will house labs, classrooms and research suites for the School of Nursing, School of Health and Human Sciences and the Departments of Biology and Chemistry. The building is still slated to open in the summer of 2020. Construction Project Manager Dennis Bowie said the granite crews blasted through was some of the hardest rock in the state. They drilled 10 feet below the surface – five feet through solid rock. The rock blasting, which consisted of about 18 detonations, wrapped up on Oct. 12, and crews have been working to excavate the broken rock. Bowie said foundation work should last through the holidays and into January, and the hope is to begin erecting steel around Thanksgiving. They have already finished the underground utility work, including electrical, water lines, steam lines and teledata. Foundation work for the new South Chiller Plant is near completion, with steel going up this month. Photography courtesy of Dennis Bowie. Above, NIB site. Below, Chiller Plant site. UNC Greensboro’s North Carolina Theatre for Young People will present three performances of “Lilly’s Plastic Purse” at Taylor Theatre, November 10, 11 and 17 at 2 p.m.
Based on books by Kevin Henkes the story has been adapted by Kevin Kling and the show is directed by Annika Pfaender ’09 MFA. The play’s story revolves around Lilly, a little mouse full of ambition and youthful enthusiasm. She loves school, especially her new teacher, Mr. Slinger. When she receives an exciting new purple plastic purse, she can’t wait to show it to her class, but things don’t go exactly as Lilly planned. Pfaender says that classroom teachers like to read “Lilly’s Purple Plastic Purse” because it contains a lesson about good classroom behavior, but that the play also has things to say about negotiating new friendships, balancing the needs and desires of others with one’s own needs and desires and about dealing with big life changes. The North Carolina Theatre for Young People (NCTYP) exists to celebrate the art of live theater for young audiences, to enrich the lives of young people and their families, and to connect the University of North Carolina at Greensboro with the community. Founded in 1962, the company has reached well over one million young people with fully mounted main stage productions as well as touring shows that have traveled as far as rural Maryland and Washington, D.C. The touring shows alone engage more than 15,000 children every year. NCYTP aims to embrace all community members in its offerings, promoting diversity, inclusion, and acceptance. Producing work for Deaf audiences, bi-lingual audiences, and refugees from around the globe, NCTYP works to expand its audience base. Tickets for “Lilly’s Plastic Purse” are available from the Taylor Theatre Box Office (336.334-4392; 406 Tate St.), open Monday through Friday 1 p.m. to 5 p.m., and from Triad Stage online (https://triadstage.org/tickets), in person or by phone (336.272-0160; 232 South Elm St), open Monday through Friday 1 to 6 p.m. and Saturday 2 to 6 p.m.
For information about additional school performances November 13-16, contact Group Sales at (336) 334-4015 or grpsales@uncg.edu. UNCG postdoctoral researcher in biology Han Li appears in this PBS documentary discussing bat populations, their importance in ecosystems and agriculture and a devastating disease, White Nose Syndrome. Read more about bat research at UNCG and a special guest speaker this Friday, 11/2, on UNCG Now. Freshman year is all about firsts: First time living away from home; first midterm exam; first roommate; and for some students, it’s the first time anyone in their family has attended college. In addition to the typical firsts most new students experience, first-generation students face a unique set of challenges. Next week, UNC Greensboro will celebrate its first-generation college students, faculty and staff in an effort to provide continued support. “First G at the G” is a weeklong series of events, beginning Nov. 5 and wrapping up on the 8th. Programming is meant to help first-generation students connect with each other, faculty and staff, as well as learn about campus resources. Thomas said organizing the series was a cross-campus effort with leaders from Housing & Residence Life, the Office of Leadership & Civic Engagement, the Office of Intercultural Engagement, the UNCG-McNair Scholars Program, Spartan Start Up, Student Support Services and UNCG Guarantee. First G Stop & Chat: How TRiO Works – EUC Commons, 11 a.m. to 1 p.m.
First G Dialogue: EUC 062 Office of Intercultural Engagement, 5:30 to 7 p.m.
First G Celebration: EUC Kirkland room, 3:30 to 5 p.m. First-generation students made up a third of currently enrolled undergraduate students in 2014, according to the U.S. Department of Education. At UNCG, TRiO Student Support Services reports 168 first-generation students enrolled. These students are more likely to live off-campus, attend college close to home, attend school part-time and work full-time while in college, Thomas said. Many first-generation students are nontraditional (commuter, transfer, returning, foster, married, etc.) and therefore have a peripheral identity due to responsibilities outside of school. Some students (particularly from immigrant backgrounds) may serve as cultural brokers or translators. Many have high expectations placed on them as the first to attend college. First-generation students also have a strong sense of pride; they are independent, persistent, highly motivated and resilient, Thomas said. Thomas, who was the first in her family to attend a four-year institution, has a passion for helping students who share her experience as an undergraduate. While her parents were very supportive of her education, she had to learn on her own how to navigate the typical challenges of freshman year: buying books, finding classes and becoming familiar with a brand-new environment. Thomas came up with “First G at the G” to ensure UNCG’s first-generation students – including graduate students and all existing students – can find the resources and support they need to be successful. To learn more about the First-Generation College Celebration and NASPA’s Center for First-Generation Student Success, visit the website. Published in early October by UNC Press, “From Asylum to Prison” charts how the politics of mass incarceration shaped the deinstitutionalization of psychiatric hospitals and mental health policy making. Throughout the book, Parsons reveals that the asylum did not die during deinstitutionalization. Instead, it returned in the modern prison industrial complex as the government shifted to a more punitive, institutional approach to social deviance. Parsons shows how the lack of community-based services, a fear-based politics around mental illness, and the economics of institutions meant that closing mental hospitals fed a cycle of incarceration that became an epidemic. In addition to the book, Parsons is also curating a traveling exhibition titled “Care and Custody: A History of Mental Health,” sponsored by the National Library of Medicine. The exhibition will open in 2020 and will travel for approximately five years to cities across the country, including Greensboro. Dr. Tara T. Green (African American and African Diaspora Studies), Linda Carlisle Excellence Professor, was invited to give the Dr. Bertha Roddey-Maxwell Distinguished Africana lecture on October 18, 2018, by the Africana Studies department at the University of North Carolina at Charlotte. 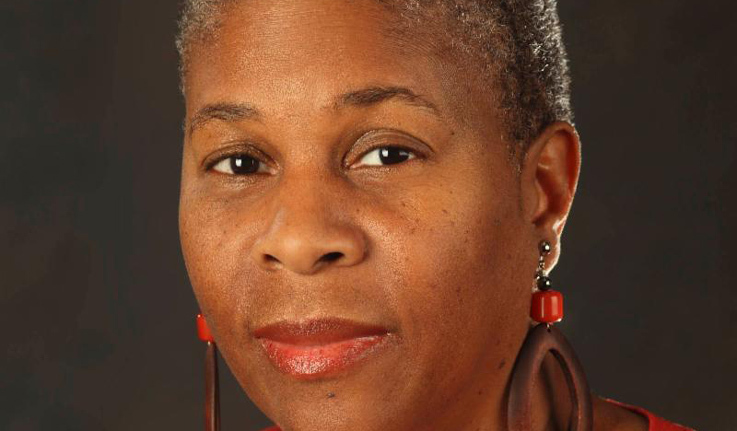 Green’s lecture was titled “”They saw everything that was going to happen”: Remembering the Middle Passage in Black Artistic Expressions of Resistance.” The lecture, in its 10th year, is named in honor of the founder of the Africana Studies department and a co-founder of the National Council for Black Studies. After the lecture, Green was given the department’s Africana Studies Award for recognition of her scholarship and service in the field. Dr. Wayne Journell (Teacher Education and Higher Education) will receive the 2018 Exemplary Research in Social Studies Award from the National Council for the Social Studies at their annual conference in November. This award, which is the most prestigious research award given in the field of social studies education, is for the 2017 book “Teaching Politics in Secondary Education: Engaging with Contentious Issues” published through SUNY Press. This is his second time receiving this award; he also received it in 2014. Journell’s award-winning 2017 book uses data collected from multiple studies to offer recommendations on best practices for overcoming the apprehension many teachers feel about discussing potentially volatile topics in the classroom. In the book, Journell provides insight on how to address concerns like framing divisive political issues, whether teachers should share their personal beliefs to students and how to handle political topics that reach into socially sensitive territories like race, gender and religion. Journell, whose research is focused on preparing high school social studies teachers, has long examined how teachers can overcome fears of discussing politics with their students. He’s studied the different ways politics is taught in schools and worked with teachers to figure out creative ways to get students more engaged with civics and government, including using the television series “The West Wing” to dramatize important concepts and prompt discussion. Drawing on extensive research and his own personal experience as a high school government teacher, Journell hopes to educate educators on how to facilitate tolerant, civil discussion of political issues. Some of this article appeared in UNCG Magazine in a feature written by Mark Tosczak. Victor Ayala is additional writer. Faculty and staff had a chance to weigh in on UNC Greensboro’s vision for its Millennial Campus Initiative at an Open House last week. About 70 faculty and staff dropped by the Virginia Dare Room in the Alumni House Thursday afternoon to hear a presentation from the consultant team working with UNCG on the planning process of the two “innovation districts” – a new spin on the 20th century research campus meant to strengthen connections between campus and community. Attendees were asked to provide input on all aspects of the project, from naming ideas to partnerships and activities that would benefit UNCG’s academics, research and public engagement. UNCG is one of North Carolina’s most diverse educational institutions, with activities that bring economic benefits to Greensboro and the greater Triad region, said Bob Geolas, partner at HR&A Advisors, Inc. A Millennial Campus designation provides an opportunity to grow UNCG’s research capacity, forge new partnerships with private partners and build a dynamic innovation ecosystem. On May 19, 2017, the University of North Carolina System Board of Governors approved a proposal from UNCG for the establishment of a Millennial Campus designation. The approval designated two areas of the campus as new districts for future development: One along Gate City Boulevard, with a focus on Health and Wellness, and the other along Tate Street, with a focus on Visual and Performing Arts. Collectively, the Millennial districts will encompass approximately 73 acres of existing campus property. For an innovation district to be successful, Geolas said, it must encompass some key characteristics: collaborative, authentic, inspiring, accessible and affordable. A university conference center, a low-cost performing arts space and a collaborative work space are just a few of the ideas suggested by faculty and staff, who provided written input on poster-sized paper at the conclusion of each of the 30-minute presentations for faculty and staff. The consultants held a public forum later in the evening for the two neighborhoods closest to the innovation districts: College Hill and Glenwood. If you were unable to make it to the Open House, you can still provide feedback on the Millennial Campus Initiative website through Nov. 2. Once the visioning process wraps up, HR&A Advisors will draft a guiding plan and assist UNCG in identifying strategic partners and opportunities for some initial projects in each district. UNCG will then solicit further input on those projects, which will be intended to kick-start development of the Millennial Campus. The initial plan is expected to be drafted by the beginning of 2019 and will continue to evolve based on new information, ideas and opportunities. Halloween is always a popular time on campus. Every year, various on campus organizations hold a variety of fun and chilling events. This year there are a scary number of seasonal treats, and most are free-admission. 10/26: Spartones Fall Concert: The UNCG Spartones will host their annual Acapellaween concert in the UNCG Auditorium on October 26th at 7pm. UNCG students get in free with student ID. 10/26: Nightmare on College Ave: From 7-11 p.m., College Ave will be remade into a Charlie and the Chocolate Factory-themed Halloween festival. Students will enjoy a specialty popcorn bar, pumpkin painting, rides, games and more. 10/27: Monster Mash: Monster Mash is an event that strives to bring the community together, creating a family Halloween party with games, food and more. The event is open to anyone and is free of charge. It will be 3-6 p.m. at the Glenwood Recreation Center at 2010 Coliseum Boulevard. Bring your own trick-or-treat bag and don’t forget to wear you best costume. 10/27: Dr. Frankenstein’s House of Horrors: Every year Ashby College (in Mary Foust Residence Hall) creates a large-scale, creative haunted house experience, open to campus and the public. This year, you’re invited to “Dr. Frankenstein’s House of Horrors,” from 7 p.m.-midnight. The event will be held in Mary Foust, 301 College Avenue. Admission is $5 per person, or $3 with a canned food donation. All proceeds benefit The ARC of Greensboro and the Spartan Open Pantry. Join hundreds of Spartans for the scare of a lifetime! 10/29: UNCG Organ Spooktacular: The UNCG Organ Studio will present its annual Halloween Organ Recital in the School of Music Organ Hall at 7:30 p.m. Get into the Halloween spirit at this free, open-to-all concert. 10/31: Haunted Halloween: Join CAP for a spooky start to Halloween! There will be Zombie Virtual Reality, a zombie-themed photo booth and a Halloween candy buffet. Entry is free for all students with a Spartan ID. EUC Maple, 11 a.m.
Hannah Grannemann was elected to the Board of Directors of the Society of Arts Entrepreneurship Educators. The Society for Arts Entrepreneurship Education is an organization committed to advancing formal training and high educational standards for arts entrepreneurship education. She is an Assistant Professor of Arts Administration and Director of the Arts Administration Program in the College of Visual and Performing Arts. She is also a ​Coleman Entrepreneurship Fellow in the Bryan School of Business and Economics. Liked “Incredibles 2”? You’ll love the dynamic talk by Pixar artist Bryn Imagire, who was an artist for the movie and many more. The talk will be Wednesday, November 7, 6 p.m., Eberhart Building, Room 250. You’re advised to be there early – each Pixar artist who comes to UNCG attracts a full auditorium. Shader Art Director Bryn Imagire will also speak to my Dr. Heather Holian’s ARH 210 Art of Disney and Pixar class (not open to the public). Holian is working on a book about Pixar’s art; the book is scheduled to be published in 2021. 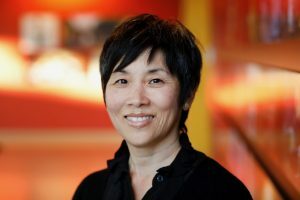 “As a Pixar veteran, Bryn has a great deal of experience at the studio and I’m sure both her dynamic speaking and her excitement for the Incredibles II will be clear in her behind-the-scenes talk about her work that production. I think we’re in for a real treat,” said Holian. Bryn Imagire joined Pixar Animation Studios in June 1996 as a digital painter on “A Bug’s Life.” She worked in the art department as a designer on “Monsters Inc.” and “Cars 2”. She then went on to work as Shading Art Director on “Toy Story 2”, “The Good Dinosaur”, and the Academy Award-winning features “The Incredibles,” “Up” and “Coco”. Imagire finished working on Disney•Pixar’s “Incredibles 2,” as Shading Art Director and Costume Designer, and is currently working with Pete Docter on Pixar’s 2020 summer feature. As a Shading Art Director, Imagire experiments with different materials to help form the overall look of the film through the colors and textures of characters, sets and objects. She works closely with the Director, Production Designer, and fellow art directors on each film to take the decided look and create that on-screen. After participating in drawing and painting classes as part of a high school summer program at the School of Visual Arts in New York, Imagire decided at an early age that she wanted to pursue a creative career. Born and raised in Sacramento, California, Imagire attended the American River College for two years and then the Art Center College of Design in Pasadena, California where she received a Bachelor of Fine Art’s degree in Illustration. She currently resides in Oakland, California. The UNCG School of Theatre will perform Jackie Sibblie Drury’s “We Are Proud to Present a Presentation About the Herero of Namibia, Formerly Known as Southwest Africa, From the German Südwestafrika, Between the Years 1884–1915” at the Sprinkle Theatre late October and early November. “We Are Proud to Present…” is a comedic dramatization of the Herero genocide in Namibia from 1904-1907 when the region was a German colony. It depicts the first rehearsal of a presentation intended to tell the story, and shows how the various actors respond to the gruesome facts as they rehearse. Calandra Hackney is directing. There will be performances October 25-27 at 7:30 p.m., October 28 at 2 p.m., and November 1-3 at 7:30 p.m. For tickets, call the Sparkle Theatre Box Office at 336-334-4392 or drop by before the show. The box office is located on the first floor of the Brown Building at 402 Tate Street and opens an hour before showtime. The 5th Annual Greensboro Dance Film Festival is coming to Elm Street November 10. The festival, the first of its kind to reside in Greensboro, is presented by Sugarfoote Productions with support from the UNCG School of Dance and the Greensboro Project Space. UNCG Associate Professors Robin Gee and BJ Sullivan will host. Dance films from 21 countries, in both student and professional categories, will be shown at the event. The festival features work that addresses issues of race, place and identity in a modern and ever-changing world. Over the course of the day, there will be rolling screenings at HQ Greensboro (7 p.m.), Greensboro Project Space (7:30 p.m.) and VCM Studio (8 p.m.). Each location will feature a program designed for and unique to the space. In addition, there will be an opening reception at HQ Greensboro featuring live dance and music performances. After the showings in Greensboro, the film festival will launch a touring program that will travel to several locations in North Carolina and around the country. All events are free and open to the public. For more information contact gso.dance.films@gmail.com or rmgee@uncg.edu or see the website at www.greensborodancefilms.org. The UNCG Police Department prides itself on its service to the University, its students, faculty and staff, as well as its dedication to the Greensboro community. To help serve this community, UNCG Police is drawing on the University’s greatest resource: its students. Through the Student Ranger program, students are getting the opportunity to work closely with UNCG Police and get a feel for a career in law enforcement. Once they complete the application process and pass a background check, Student Rangers wear the same uniforms as Campus Security officers and act in a similar capacity. They’re responsible for securing and unlocking buildings, conducting safety walks for fellow students, responding to fire, medical and maintenance calls, and other non-emergency functions. UNCG senior and sociology major Samuel Diezel has worked as a Student Ranger for a year. He said the experience is informing his decision to pursue law enforcement at the federal level, as well as giving dimension to his education. 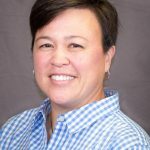 Dr. Emily Janke will be awarded the first-ever Barbara A. Holland Scholar-Administrator Award by the Coalition of Urban and Metropolitan Universities (CUMU) at their annual conference in Chicago Oct. 23. The award is a CUMU member-nominated, member-led initiative honoring mid-career scholar-administrators. The award celebrates scholar-administrators whose leadership and intellectual voice is leading to new strategic directions relevant to current challenges in higher education. Holland Scholars are distinguished by a record of both administrative leadership and high-impact scholarship. Dr. Janke serves as director of the Institute for Community and Economic Engagement (ICEE) at UNCG and is an associate professor in the Peace and Conflict Studies department. As director of ICEE, Dr. Janke connects and convenes scholar-administrators from UNCG and other institutions to address community-identified priorities through partnerships. Her scholar-administrative work focuses on multiple aspects of community engagement, community-university partnerships, and institutional culture and change strategies. UNC Greensboro will be seeking a new leader for our Enrollment Management organization as Vice Chancellor Bryan Terry has accepted a new position on the leadership team at Arkansas State University. We thank Bryan for five years of dedicated work to help grow UNCG enrollment to its current record high – including welcoming our largest ever freshman class – and for his efforts to promote student success. Bryan will be working in his current role in Enrollment Management through Nov. 14. Effective Nov. 15, Dr. Dale Wasson will serve as Interim Vice Chancellor for Enrollment Management overseeing Admissions, Financial Aid, and the Registrar’s Office while we conduct a national search for an Associate Vice Chancellor for Enrollment Management. Dr. Wasson brings more than two decades of enrollment management leadership, most recently serving as Vice Provost for Analytics and Operations at the University of Texas Arlington, where he was responsible for undergraduate and graduate recruiting, admissions, institutional research and planning, learning assessment, TRIO programs, registrar functions, and financial aid. Lenora Fulani will speak at UNCG today (Wednesday) at 6 p.m. in the EUC Auditorium. “Growing up Poor and Black in America: The Impact of the 60s from the Vantage Point of an Intellectual and Community Organizer” will be her talk. Fulani, a developmental psychologist and pioneering figure in independent politics, became the first woman and the first African American to get on the ballot in all fifty states running for president of the United States. She did that in 1988. She is also a pioneer in using play and performance to help support the development of young (and older people) with her work in New York, Chicago, Atlanta, and the San Francisco Bay Area with the All Stars Project and Cops and Kids: Operation Conversation. Dr. Omar Ali, dean of the Lloyd International Honors College, will give the introduction. His first two books were on the history of African Americans and independent political movements in the United States, from the Abolitionists and Black Populists through the Civil Rights and Black Power eras. The event is sponsored by the Lloyd International Honors College. See the construction of two headlining pieces in the Weatherspoon Art Museum’s exhibition “Dread and Delight: Fairy Tales in an Anxious World,” and an interview with curator Emily Stamey on Triad Today. The exhibition will be open through Dec. 9. Several special programs are coming up, such as a conversation with fairy tale scholar Jack Zipes and artist Natalie Frank on Oct. 25 at 7 p.m. and a Fairy Tale read-a-thon on Nov. 2 at noon. View the exhibition website for details.